After the early test ride report we saw online in Decmber for the 2016 Triumph Street Twin (By Michael Neeves) at http://www.motorcyclenews.com/news/first-rides-tests/2015/december/first-ride-triumph-street-twin/, I just saw the first 2 test ride reports online of the new 2016 Bonneville T-120 and Thruxton R that sport the new liquid cooled 1200cc parallel twin engine. Both of the new articles are by Jon Urry, MCN contributor. Michael’s December article reports the 900cc Street Twin at 54 BHP. 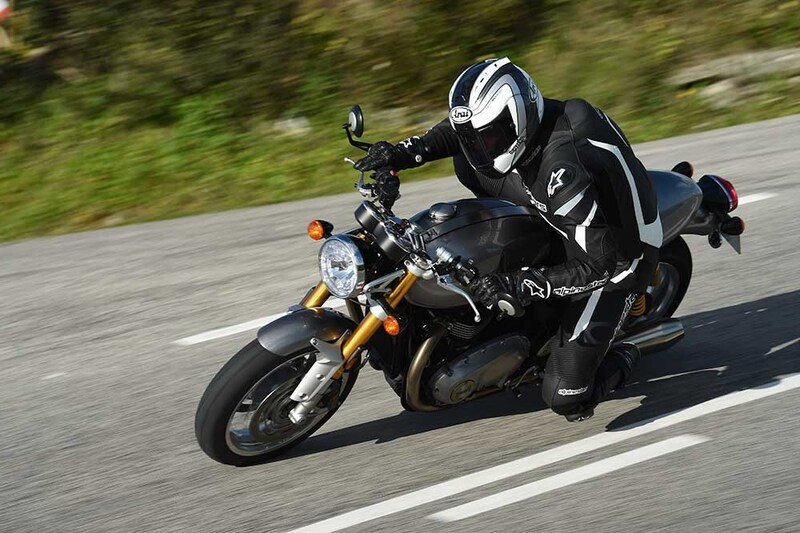 In the recent Thruxton R article Jon shares the claimed performance report as “95.6 bhp and 82.6 lb.ft of torque.” The only spec shared on the T-120 was “77ft.lb of torque from just 3100 rpm in the rev range.” My guess is that the BHP will be at or around 90. This is the first report I have seen that shares an official HP rating for either 1200cc motorcycle. It is interesting to me that the new liquid cooled 900cc engine is rated at a lower BHP (54) than the former 865cc air-cooled engines (~66). Also of interest is that the 33% larger 1200cc engines are still rated under 100 BHP, even though it is common to take the 865cc air cooled engines to up over 100 BHP (at the rear wheel) for street and racing purposes. 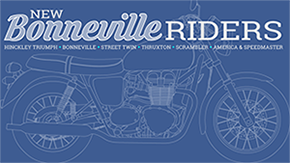 My own 2008 Bonneville engine has been rebuilt as an 1100cc version, similar to the engines raced in the AMA Pro Flat Track series by the Triumph factory sponsored Bonneville Performance team. I have not dyno’d my engine yet, but Bill Gately, owner of Bonneville Performance has dyno’d many of his 995cc, 1100cc and 1200cc street tracker and race engines and expects mine to dyno in the low to mid 90 BHP range at the rear wheel. No doubt firms like Bonneville Performance will figure out how to get massively more HP out of the new 900cc and 1200cc liquid cooled engines in time as both engines share the same case and many internal parts. But for now at least, you can still take the tried and true air-cooled 865cc engine past the performance levels of the new liquid-cooled engines and at reasonable prices. So, for gaining higher performance on a budget, it still may be more cost effective to purchase a good used Bonneville or Thruxton ($3K to $5K), and upgrade the engine by Bonneville Performance ($5.2K to $6.6K), and still have more in your pocketbook compared to buying the new 1200cc models. I own an upgraded 2012 Bonneville SE. Quite the primitive beast. Brakes are poor to say the least. The suspension “had to be” upgraded. Almost any Japanese bike at the same price point can out handle, brake and zip by my Bonny. The main Bonneville selling point is it looks cool.